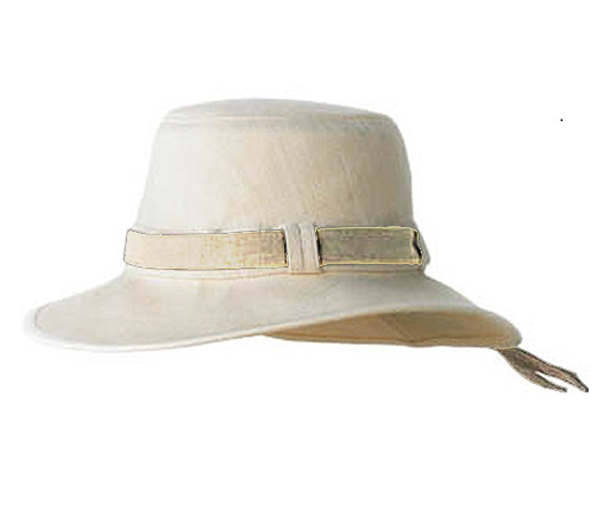 The elegant Lady Tilley Hemp Hat is specifically designed for women. It is, indeed, elegant, yet hard-working, can be worn brim up all the way, or jauntily tipped to set the tone for any occasion. A Special Note about Hemp: Not only do our Hemp Hats look great, but they have a soft linen-like look with a "tough as nails attitude." In fact, Hemp is the world's strongest natural fibre. It is breathable, and naturally resistant to UV light, mould, mildew, and salt water. Your Tilley Hemp Hat will require only a little care to look lovely for life.